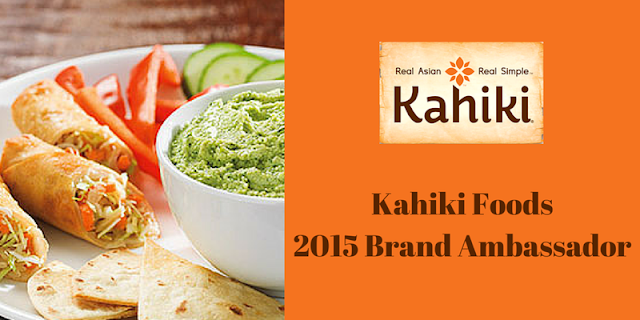 Kahiki Foods are made with simple, natural ingredients and taste delicious! I'm sure you've all heard me talk about Kahiki Foods before, since I became a Brand Ambassador for them earlier this year. You can read more about their delicious and easy meals in my original post here. From appetizers to single meals to family meals, they have a whole line of amazing dishes! Let me tell you a little bit about Kahiki. They are a producer of high-quality frozen Asian meals and appetizers. Kahiki embraces the traditional Asian value of balance by combining pure and natural ingredients with delicious Asian flavors. 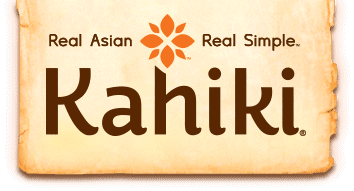 All of Kahiki’s recipes are made simply, with no additives, preservatives or MSG, and their products can be found in retail grocery stores and membership warehouse clubs across the country.Visit Kahiki’s website or connect on Facebook or LinkedIn to learn more. Kahiki is putting on a fun little competition for all of their Brand Ambassadors over the next couple of weeks. For starters, they are sponsoring a giveaway for 3 Kahiki vouchers. So whether you're craving some orange chicken, or maybe a big dish of chicken fried rice, or even some egg rolls, you can use those vouchers and pick out your favorites! You'll find the giveaway tool at the bottom of this post, so don't forget to enter before you leave! But wait, there's more! Kahiki has a really cool enewsletter, filled with coupons, recipes, and lots of fun facts. This is where the competition comes in to play! The Brand Ambassador who has the most readers sign up for the enewsletter will win 2 free Kahiki Foods woks (a $300 value! ), one for me, and one to give away to a reader! 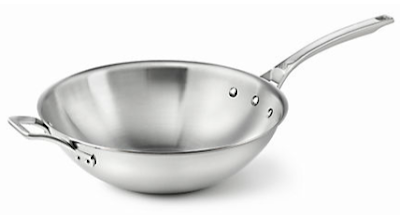 So not only are you entering to win free coupons, but you also are entering to maybe win this gorgeous wok! STEP 1: Click this link to get signed up for the Kahiki Foods enewsletter, where you'll receive coupons, recipes and fun facts! STEP 2: Enter the Rafflecopter below for a chance to win free Kahiki Foods vouchers. If I do win the woks, I will end up selecting TWO winners from the giveaway tool! Good luck everyone! Disclaimer: This post was sponsored by Kahiki Foods. All opinions, as always, are my own. Thank you for supporting the brands that make this blog possible!